Italy is a hub of football players and soccer fans and has produced some top-notch international players. Italian football league consists of more than 7500 football teams that compete with each other in different domestic events. One famous football series of Italian football league is known as the Serie A where all the best teams of Italy play against each other for the Coppa Campioni d’Italia. Like Serie A, different football leagues are played in various countries all year round and they feature their finest international football players along with other domestic players. The die-hard football fans are always eager to watch their favorite players live in action every time they are participating in an event be it local or international. This is the reason Serie A is tailed in different parts of the world and has a huge fan following (not to forget Cristiano Ronaldo). Serie A, being a world-class football league, has a large number of viewers not only in Italy but outside Italy as well. 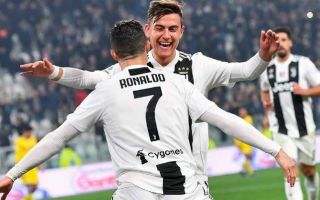 To cater all the fans of Serie A it is broadcasted officially by a large number of international sports channels along with the two domestic official broadcasters DAZN and Sky Italia. These international sites and channels broadcast Serie A in various regions of Australia, America, Africa, and Europe. Some famous broadcasters outside Italy are ESPN, Super Sport, BeIN, Fox Sports, and others. These broadcasters enable Italian football league fans in their respective countries to watch Serie A live online with ease. Serie A is a super league and it consists of a large number of matches. Though the league continues from August till May still more than one games of Serie A are played at the same time which means each broadcaster, be it based in Italy or in some other country, can feature only one match at a time. This is frustrating if your accessible broadcaster is not featuring matches of your desired teams as nothing makes a fan more deprived than not allowing him to watch their favorite players live while they are competing for a title. If you are a Serie A follower then you definitely want to watch all the matches of Serie A live online that are featuring the teams you are supporting. But if your country has restrictions for official broadcasters of Serie A or broadcasters in your region are featuring matches other than your preferred ones you cannot access your desired content through a straight path. In both the cases, you have to go beyond geo-restrictions and can watch your favorite matches irrespective of your regional limitations through VPN only. VPN is a Virtual Private Network that allocates you an anonymous IP of your desired country. It allows you to access live content that is available solely for the residents of the said state or country. For watching Serie A live online through VPN you have to follow these steps. Select a VPN provider that has servers in your targeted country. Get yourself registered on the official site of the VPN and choose your payment plan and method. You can opt for a one month free trial period as well that is offered by most VPNs. Install the VPN app supporting your device. Now, launch the app and sign-in. Finally, choose your desired server and start browsing content as a local surfer of the chosen country. Choosing your desired server is tricky when you are using VPN for watching Serie A live online as different matches of the league are broadcasted in different states at the same time. It’s better to check the matches scheduled in advance and plan your moves accordingly. This will save you from the hassle of switching servers every now and then and you will be able to enjoy live streaming of your supported teams right on time. So what are you waiting for? Sign up with a VPN now, and watch Serie A live online while supporting your favorite player`s team with full zeal.